Academics have no ‘right’ to research terrorist materials and they risk being prosecuted for doing so, the vice-chancellor of the University of Nottingham has told his staff. Sir Colin issued the statement to advise staff to note ‘additional points’ that have emerged since the arrest in May of a Nottingham masters student and a clerk on suspicion of possessing extremist material. Mr Sabir’s personal tutor Bettina Renz, a lecturer in international security, and his MA supervisor, Rod Thornton, a terrorism specialist and former soldier, have both said they told police that Mr Sabir’s possession of the document was legitimate given his research interests. Since his release without charge, Mr Sabir has been accepted to study for a PhD in radical Islam at Nottingham under Dr Thornton’s supervision. His doctorate application proposes an analysis of Islamic terrorists’ military and political strategy ‘based on primary documents, including reports published by think-tanks and research centres and documentation published or released by Islamist groups (strategic and political statements, military manuals, group manifestos and charters)’. He said he was now unclear what he could and could not legitimately research for his PhD, given the police and the university’s warning. Oliver Blunt QC, of the Anti-Terrorism team at Furnival Chambers in London, said that academics do have a ‘right’ to ‘access’ terrorist materials, whether for research or otherwise, as long as they do not ‘possess’ them. He said: ‘Once the researcher knowingly downloads or saves the materials that he is accessing, then he is in ‘possession’ of terrorist materials. See further Support Hicham Yezza website. See further the extensive media coverage for further details. 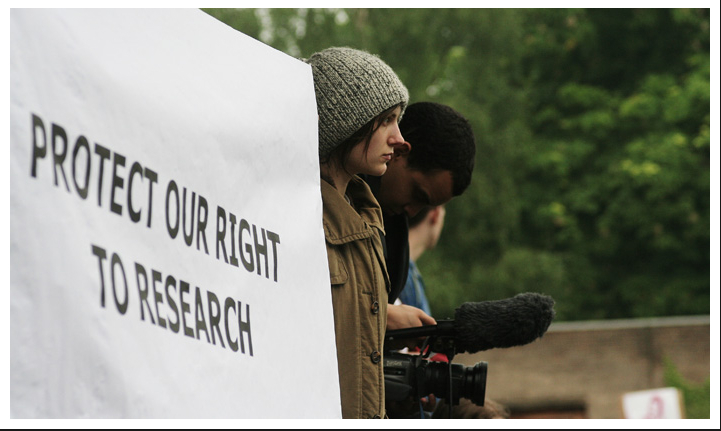 Be the first to comment on "THE: Researchers have no ‘right’ to study terrorist materials"